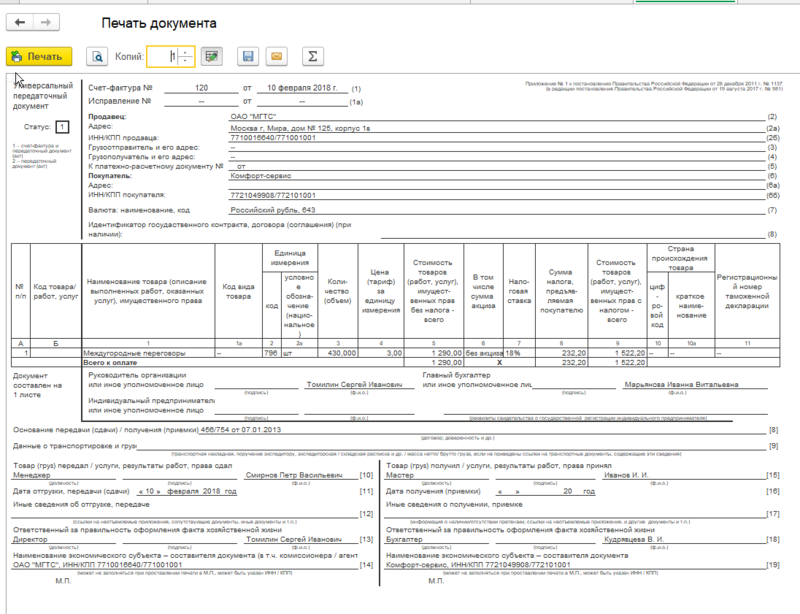 The external printed form is intended for printing of the universal transfer document (FRT) for the supplier from the document "Goods Receipt and Services", developed for the configuration of "Enterprise Accounting", version 3.0. The printing form is realized in two versions, one of which allows filling in the responsible persons of the supplier and the buyer. The printing form is connected through the mechanism of additional reports and processing. 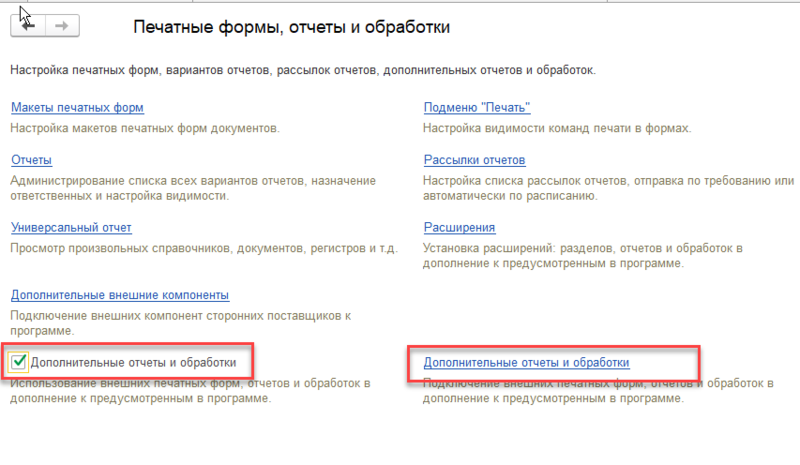 To connect, go to the section "Administration" - "Print forms and processing." If the program does not include the ability to work with additional reports and processing, you must set the "Additional reports and processing" flag, then click the "Additional reports and processing" hyperlink. In the "Additional reports and processing" list, add a new element, the "New" button. 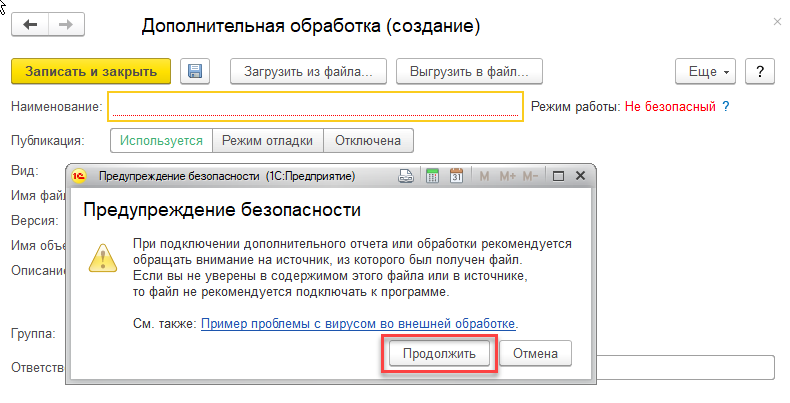 When creating a new item, you may receive a security warning, in which you should click the "Continue" button. The program prompts you to select the external processing file, you must select the downloaded file on your computer and then save the item ("Record" or "Write and close" button). 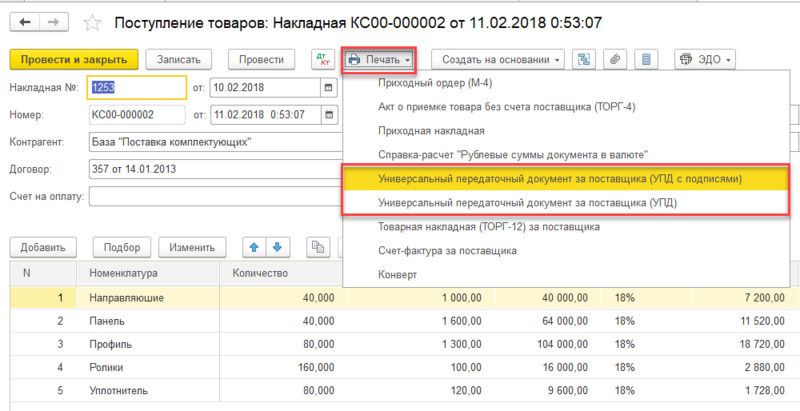 After that, a new print command will appear in the submenu "Print" of the "Goods and services receipt" document - "Universal transfer document for the supplier (FRT)" or "Universal transfer document for the supplier (FRT with signatures)", depending on the selected file. As a result of printing, we get the typical current printed form of the universal transfer document. 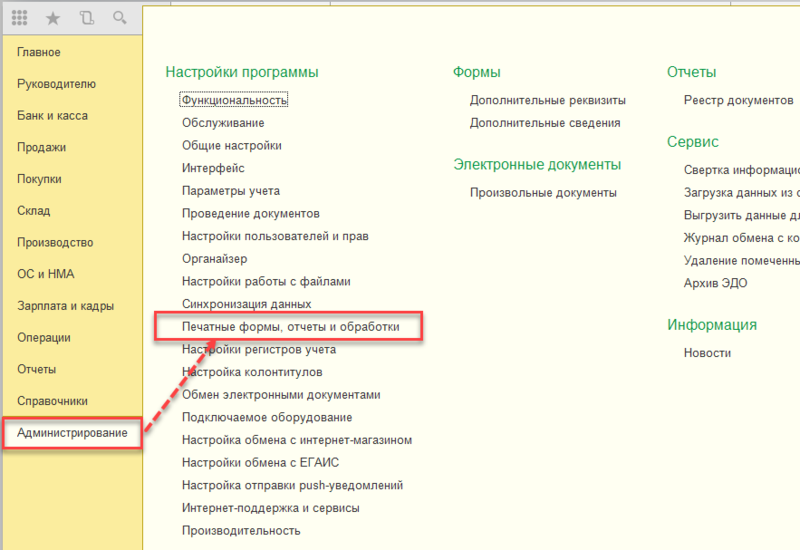 Printed forms were checked on the enterprise configuration booklet releases 3.0.67.63. For other releases, printed forms can be refined by application.